Russia's Bolshoi theatre has shocked art critics by cancelling the world premiere of Nureyev - one of the most anticipated ballets of the season. The ballet's outspoken director, Kirill Serebrennikov, was recently questioned in an investigation into alleged embezzlement over state arts funding. Supporters of Mr Serebrennikov say his questioning was politically motivated. 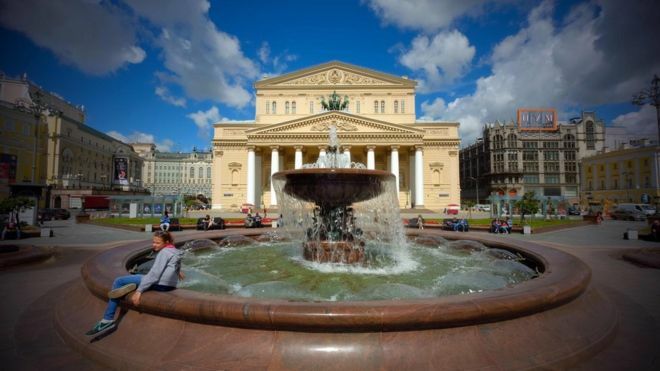 The Bolshoi reportedly said the premiere has simply been "postponed to a later date" until it is ready to run. The ballet is about Rudolf Nureyev, a dancer who defected from the Soviet Union during the Cold War. Mr Serebrennikov has been a vocal critic of increasing censorship of the arts and has been critical of Russia's authorities. His flat was raided, along with the state-funded theatre he heads, two months ago in an investigation into alleged embezzlement. The accountant and a former director of a company he founded were arrested. The general director of the Bolshoi Theatre, Vladimir Urin, wrote to Russia's President Vladimir Putin to complain about how the investigation had been handled.